** not bookable ** Toronto to Rome, Italy - $359 CAD roundtrip including taxes | non-stop flights, mistake? 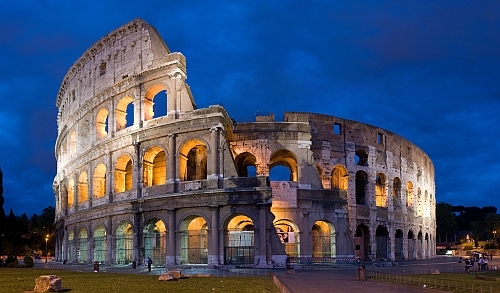 Alitalia is showing some unusually cheap non-stop flights from Toronto to Rome, Italy for $359 CAD roundtrip including taxes. It's possible these could be a mistake, so do not book anything else for at least 48 hours, until it becomes clear that the tickets have been issued by the airline. IMPORTANT: Alitalia is currently under creditor protection as they are up for sale, and their future is unclear. Air France-KLM and EasyJet are rumored to be interested in acquiring Alitalia. There are currently 3 offers on the table for Alitalia. Read the latest news about Alitalia on Google News. Update @ 12:20 PM EST - I've seen more than a few people report that the price jumps up on them after the payment info page. This can happen during periods of high demand as everyone tries the same dates or it may just be that all dates are unbookable, and they will all jump up in price. It's looking like in this case it might be the latter, and these are not bookable. Sorry about that everyone, for obvious reasons it's not really possible to test for price jumps that happen after the verified price / payment info page. The majority of the time, price jumps occur before this point. IMPORTANT: CheapOAir.COM is in $USD. toronto, yyz, flight deals, europe, western europe, italy, rome and alitalia. 8 Responses to "** not bookable ** Toronto to Rome, Italy - $359 CAD roundtrip including taxes | non-stop flights, mistake?" Looks like it has been corrected. Each time I try to book it says at the final stage that the fare price has changed. Chris: By final stage, do you mean the the page where you enter your credit card payment info ? It looks like some dates are gone, but still seeing certain dates for $284 USD roundtrip on the verified price page (the page with the credit card payment info), as of 11:51 AM EST. I’ve tried pretty much every date, the deal is dead unfortunately. Yep, the deals are failing _after_ the credit card page - it comes back and offers a higher fare. Did anyone get the deal? I got to the final checkout page and it said the seats were just sold. When I tried again the page got stuck on loading final confirmation. Anyone have any luck? Agreed. The deal is not working. The price is corrected after the credit card info is entered. Too bad.